The tiny eateries we accidentally stumble upon are some of our best finds till now. One such hidden gem that we found on Baner road is an old Gujju restaurant that serves the most authentic delicacies in town. Enjoy undhiyu, khaman, thepla and other Gujarati staples at Saurashtra Ni Rasdhar. The place is extremely small but is easy to locate as it is situated right below Poona Republic. You can either opt for an indoor seating or go for a take-out. The dishes are freshly prepared and are reasonably priced. We tried the kathiawadi thali which is their speciality. 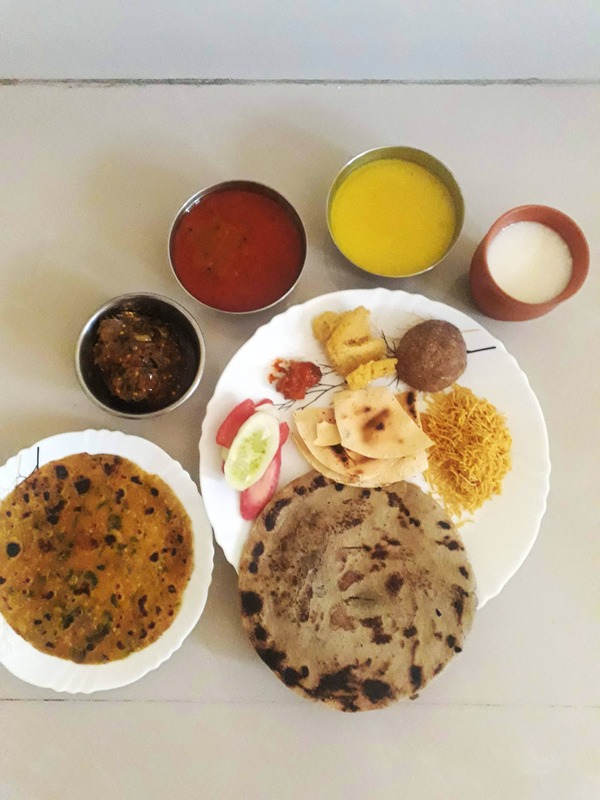 This thali consists of elaborate servings of Gujarati kadhi, tomato rassa gravy, dahi bharta, khaman dhokla, papad, salad, achar, sweet, rotis, rotla (made of millets), thepla, bajra khichada and chass. We swear the food was to die for. If you wish to have something else, you can try their signature combos of dal dhokli, sev tamatar-paratha, lasoon aloo-roti and thepla-achar. They also sell Undhiyu per plate as well as per kilo. If you are in the mood to try something light, go for their dal bati or khaman dhokla dish. The flavours and taste of Gujarat are evident in every delicacy. We feel it's a humble, clean and hospitable eatery which will serve you amazing home-style food when feeling homesick or extremely hungry. There's hardly any seating arrangement in the space. We wish they expand soon in order to let their patrons enjoy the delicacies on the spot comfortably.